The topic of primate origins has a long history of discussion. We will not review this vast literature. Readers interested in such an appraisal should direct their attention to both earlier publications and recent reviews that consider the origin of primates in their appropriate historical context (e.g., Cartmill, 1974; Cartmill, 1992; Jones, 1917; Kay and Cartmill, 1977; Le Gros Clark, 1959a,b; Martin, 1993; McKenna, 1966; Smith, 1924; Sussman, 1991; Szalay, 1968). Instead, we will review references to the evolution of the primate masticatory apparatus during the origin of primates. We will categorize these publications into two hypotheses. Many discussions of primate origins offer little or no consideration of the evolution of the masticatory apparatus. For our purposes, we must argue from lack of evidence that these authors did not believe that the masticatory apparatus experienced noteworthy evolutionary changes during the origin of primates. Some authors explicitly argued that the origin of primates did not involve any major adaptive changes in form (e.g., Cain, 1954; Davis, 1955; Simpson, 1955, Straus, 1949; Zuckerman, 1933; 1961). For example, Simpson (1955: 268) stated that, "the order Primates ... arose by adaptive improvement and not by any more or less clear-cut single basic adaptation." He went on to argue that "the most primitive primates are distinguished only arbitrarily from primitive Insectivora." It must be true that as we trace back a stem lineage the evolutionary changes between reproductively isolated sister groups disappear making taxonomic distinctions arbitrary. However, Simpson's view seems to envision evolution along the euprimate stem lineage as a process of accumulation of unremarkable changes in form that when added together allow us to designate something as a primate. 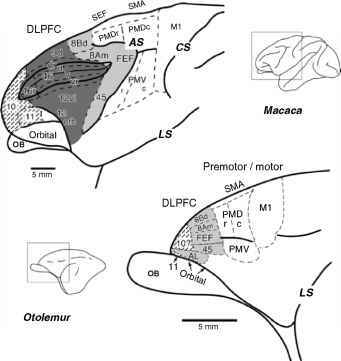 "The earliest primates were distinguished from other primitive mammals by the use of the hands and feet for grasping This basic adaptation has been the foundation of the whole history of primates The origin of primates was primarily a locomotor adaptation." The unequivocal nature of this statement allows us to reasonably infer that Washburn did not envision significant changes in the masticatory apparatus associated with the origin of primates. These two models of primate origins both predict relatively little evolutionary modification of the masticatory apparatus during the origin of primates. Thus, we would expect few changes in both the form and function of the masticatory apparatus between many living primates and other closely-related mammalian species. Given our intention to focus only on jaw-muscle activity patterns during chewing in this chapter, this hypothesis predicts significant overlap in jaw-muscle activity patterns during chewing in treeshrews and living primates, particularly strepsirrhines. The 'herbivorous feeding adaptation' hypothesis. Szalay (1968, 1969, 1972, 1973) argued that the first primates differentiated from an ancestral stock through feeding adaptations in a burgeoning frugivorous and herbivorous arboreal niche. Thus, according to Szalay, the origin of primates primarily involved adaptive modification of the masticatory apparatus due to an increased emphasis on plants as a food source. Despite this claim, no one has attempted a comprehensive comparison of masticatory apparatus form, beyond the teeth, or jaw-muscle activity patterns between primates and closely related nonprimates. Szalay's discussion of the morphological changes in this feeding adaptation focused on the dentition. He noted that the teeth became better adapted for crushing and grinding. As part of this change, the cusps shortened and became more bulbous and the trigonid lowered (Szalay, 1968, 1973). He further argued that there were adaptive changes in the skull related to this change in diet. The facial skull shortened, although he also linked this change to evolutionary modifications of the neural, visual and olfactory systems. The zygomatic arches broadened and became more robust to allow larger attachment areas for jaw muscles. Finally, the primate masticatory apparatus evolved more transverse movement capabilities linked to an increased emphasis on "grinding" and "crushing" during chewing (see also Biegert, 1963; Hiiemae and Kay, 1972; Kay and Hiiemae, 1974; Szalay, 1968, 1972, 1973). Szalay is not alone in suggesting that primates are marked by changes in the form and function of the masticatory apparatus. Harrison et al. (1977: 24) suggested that "the very origin of the Primates can be attributed, in the final analysis, to the presence of an arboreal food supply." Harrison et al. also cite changes in primate tooth form and function during this shift to a more herbivorous diet. Campbell (1974) suggested that primates, once freed from the need for grasping with the anterior teeth, improved chewing efficiency by posterior migration of the jaws. Biegert (1963) suggested that the masticatory apparatus became enlarged and specialized for grinding foods throughout primate evolution. Neither of these last two authors directly specified whether these changes in skull form occurred during the origin of primates. An immediate issue with the herbivorous feeding adaptation hypothesis is that the diets of living primates and the reconstructed diets of extinct primates broadly overlap with those of closely related nonprimates (e.g., Covert, 1986; Emmons, 2000; Kay and Cartmill, 1977; Szalay, 1968; Van Valen, 1965). Szalay (1968, 1975) and Szalay and Delson (1979) acknowledged this overlap. We know, however, that the dietary categories commonly used by biologists, such as frugivory, folivory, insectivory, do not accurately describe the mechanical properties of the foods being consumed (e.g., Kay, 1975; Kay et al., 1978; Lucas, 1979; Lucas and Luke, 1984; Lucas and Peter, 2000; Lucas and Teaford, 1994; Rosenberger, 1992; Rosenberger and Kinzey, 1976; van Roosmalen, 1984; Yamashita, 1996, 1998). Obviously, it is the foods' mechanical and structural properties that relate to the internal and external forces during chewing rather than the broad classificatory nature of the food. Thus, while Kay and Cartmill (1977) correctly point out that similar dietary categories are found on both sides of the primate boundary, we cannot be certain that there was not a shift toward harder and/or tougher foods in these diets. Potential changes in the percentages of insects, fruits and leaves are particularly relevant to this question. At present, we simply lack this kind of mechanical information on the diets of living animals and likely can never collect these data for fossil taxa. Broad dietary overlap, therefore, cannot reject the spirit of Szalay's hypothesis suggesting that the first primates consumed harder and tougher foods. We might, however, expect to see evidence of these purported changes in mechanical properties of foods in the load-resistance ability of primate jaws and/or their jaw-muscle activity patterns in comparison to nonprimate species. The herbivorous feeding adaptation hypothesis suggests that primates will have increased their relative force production during chewing, particularly transverse forces during the power stroke. The morphological implication of this hypothesis is that primates will have relatively robust jaws in comparison with closely related nonprimates so as to withstand these relatively larger loads during chewing. The herbivorous feeding adaptation hypothesis does not make a specific prediction regarding jaw-muscle recruitment patterns during chewing. Therefore, we cannot strictly test this hypothesis by comparing jaw-muscle EMG data from primates and treeshrews. The primary difficulty arises from the fact that differences in jaw-muscle activity patterns are not strictly linked to variation in diets. Based on what we know about in vivo jaw-muscle recruitment in primates, we suggest that this hypothesis would be supported if primates recruit relatively larger amounts of balancing-side jaw muscle force during chewing than treeshrews (i.e., primates will have lower W/B ratios).